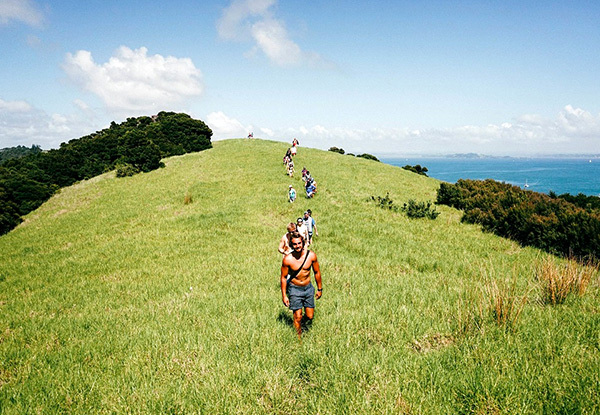 Stunning white-sand beaches, friendly locals, rolling green hills and beach-side pohutukawa trees, are all the quintessential hallmarks of the picturesque Far North. 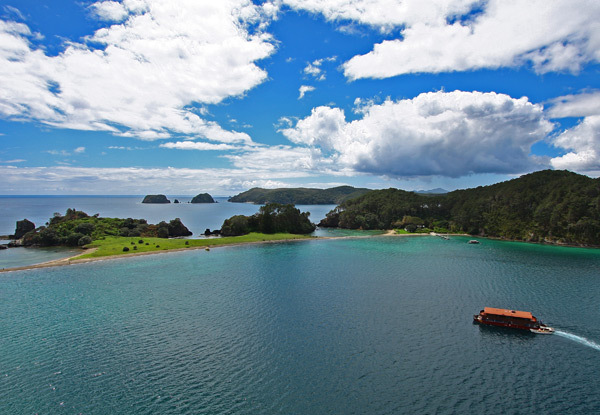 Experience and explore the spectacular Bay of Islands with the crew on The Rock. 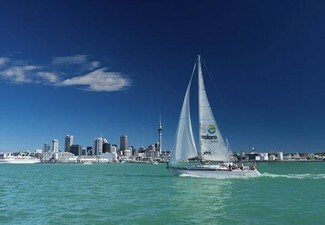 Starting at the Paihia Wharf, you'll embark on a smooth cruise around the BOI, exploring islands and remote beaches. 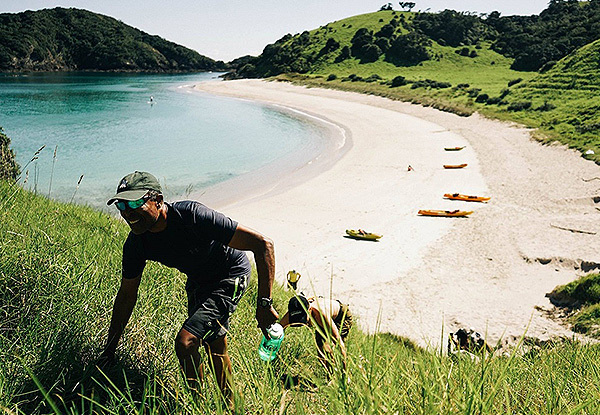 Enjoy kayaking, paddle boarding, snorkelling, gathering fresh sea food, and eating the kai in a provided lunch. If you're lucky, you may even sneak a peak at the local dolphins. Valid from the 1st of May 2019. 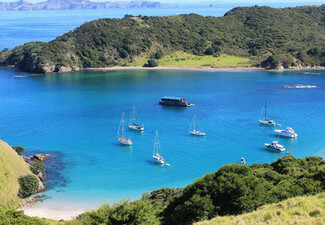 Grab a Bay of Islands day cruise including lunch and island stopover from The Rock Adventure Cruise. 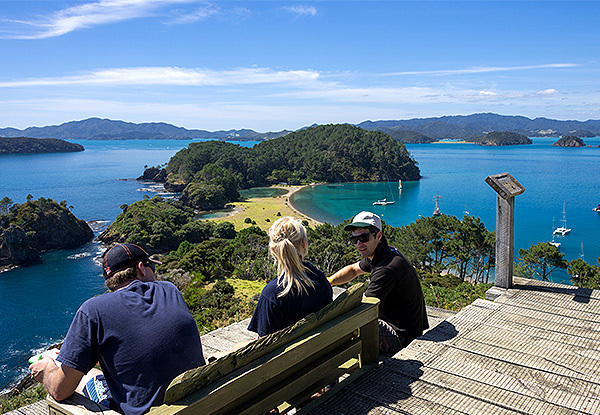 You'll get picked up at 8.00am at the Paihia Wharf by our sea shuttle who will take you on a smooth cruise to a remote and quiet bay. 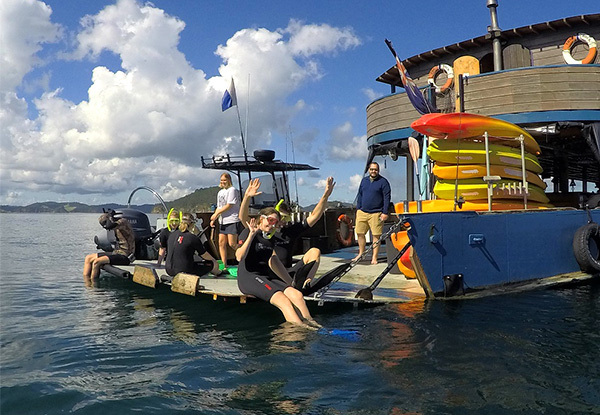 After arrival and a quick safety brief, we haul anchor and get underway for an exploration of the islands. 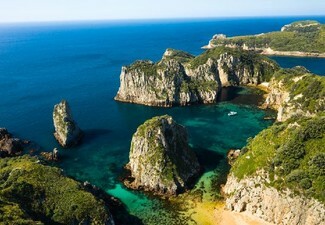 Kayaking, paddle boarding, snorkelling, gathering fresh seafood, trekking across islands enjoying stunning vantage points. If conditions allow, we'll gather mussels from the kelp-covered outer reefs to enjoy on the way home (along with the unique experience of eating sea urchins raw if you're brave enough). 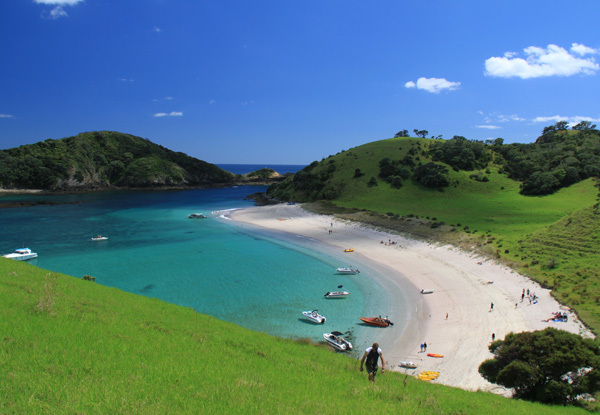 You will have time to enjoy the remote beaches - perfect for a game of beach cricket or volley ball. 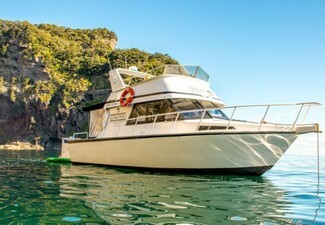 On the homeward cruise, you'll enjoy those mussels, freshly steamed, and watch out for the abundant marine and bird life...hopefully you'll even see dolphins! 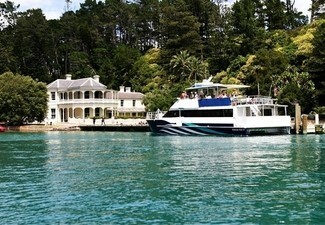 We arrive back at Paihia wharf at approximately 3.00pm. 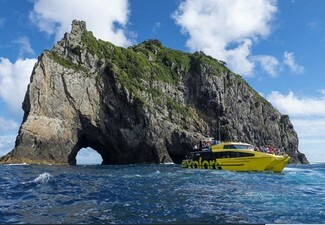 Not too big and not too small, the Rock can accommodate up to 40 people and has two levels: a spacious living area, bar, pool table, lounge, piano and open fire on the bottom, and sleeping quarters on the top. You'll join other like-minded souls who don’t mind getting trying new things. 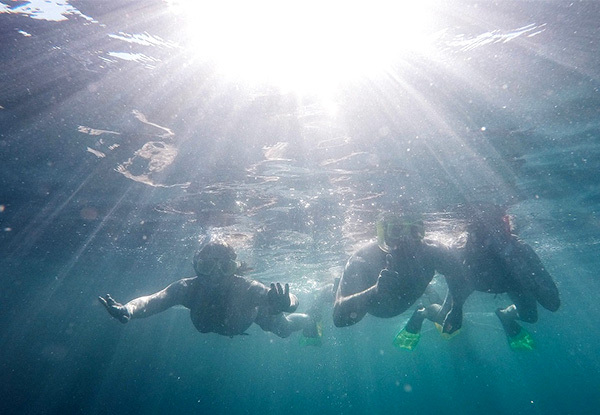 Meet the friendly and experienced crew who will guide and entertain you throughout the cruise, taking you on a fantastic range of activities including kayaking, swimming, snorkelling or try your hand at paddle boarding and stopping off at an islands for some good old fashioned exploration. 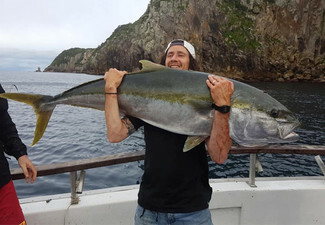 For Sarah and Jonny Greener and their crew, this is more than just a business – it’s a lifestyle, one that they’re pleased to be sharing with you. They’re with you every step of the way too – at the helm, in the water and even cooking the lunch. By the time you leave you’ll feel like you're part of the extended family rather than just another paying customer. Valid from 1 May - 30 Sept 2019. Bookings essential. Subject to availability. Must be used in 1 visit. Coupon is valid for specified number of people only. 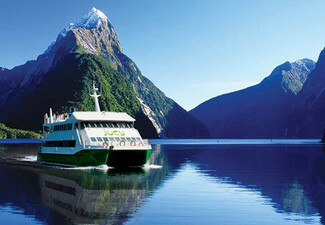 Departure time is 8.00am return approx. 2.00pm. Family Pass option is for two adults and two children. A child is defined as 2 - 11 years of age. Please advise any dietary requirements at time of booking. Not valid on public holidays. No refunds unless required by law. No cashback. Not to be used with any other offer.